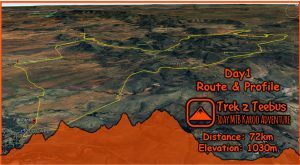 The Magalies MTB Adventure sets a hard pace for seasoned mountain bikers. Some pristine, tough and adrenalin pumping trails are on the bill for the upcoming Magalies MTB Adventure taking place on the last weekend of September 2018. The amazing scenery, the camaraderie of participants and the post-race enjoyment will add to the thrill of the outdoors in the beautiful setting of Mount Grace in Magaliesburg. The 2018 edition of the Magalies MTB and Trail Running Adventure is once again hosted by The Leverage Corporation at the Cog & Sprocket, the cycling hub on the glorious estate of the Mount Grace Country House & Spa, part of the African Pride Group, situated in Magaliesburg. “The Cog” as it is known boasts a state-of-the-art clubhouse and pristine trails, reserved for participants in this year’s event. An easier 50km on Sunday 30th with a more moderate ascent of 750m. on Sunday 16th September. Lunch is included for the riders, but check which days your lunch is complimentary. 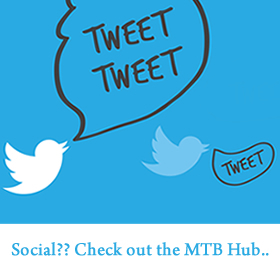 Follow this link to ensure your spot for some great mountain biking in the heart of the Magaliesburg. Go to the race website for more info, or else follow the updates on Facebook. For those who may be interested, there are also Trail Running options on Saturday 29th. If you have any queries or want to add your name to our race list, contact us on info@leveragecorporation.co.za.